When investing in a new heat exchanger, the choice of supplier can make as much of a difference as the unit itself. Technology matters, but so does having a supplier with the commitment and capabilities to help you find the right solution and provide assistance during the equipment’s entire lifetime. That’s what it really means to demand a new standard. When you choose Alfa Laval, you are choosing more than the world’s most modern heat exchanger. Our dedicated team understands the demands of your industry. We provide you with the knowledge to get the most out of your process and meet the demands of your business. We are with you every step of the way: from sales to delivery, commissioning to service and spare parts. 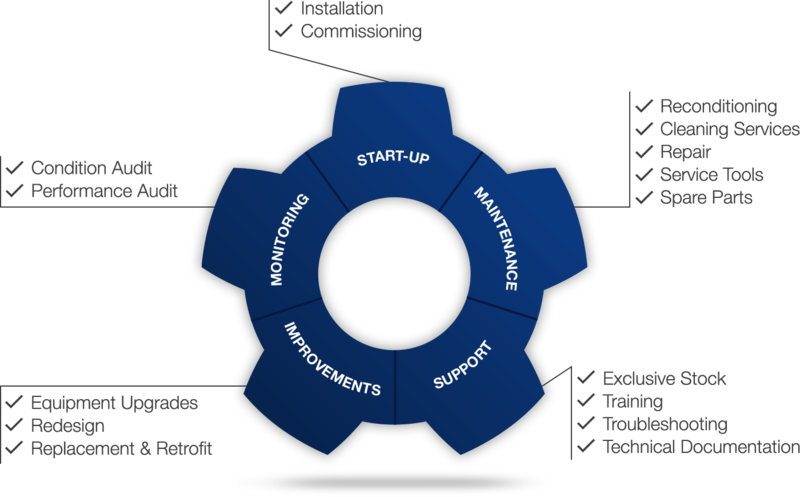 With a global support network and comprehensive offering of services, we can make sure your equipment delivers efficient, reliable performance for years to come. 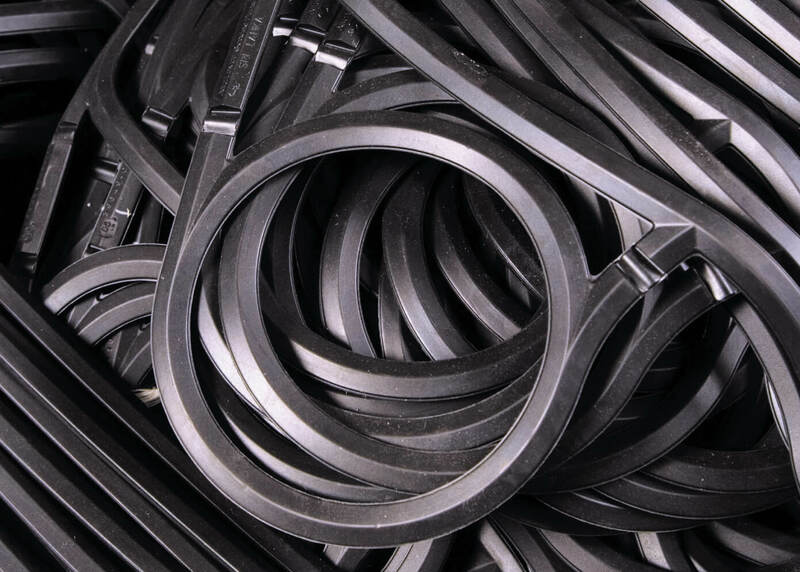 How long will your gaskets last? 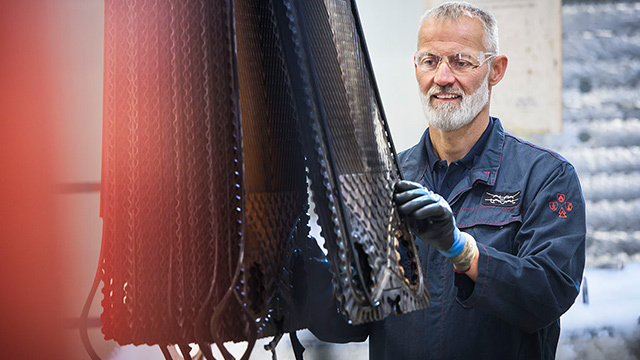 Using Alfa Laval’s proprietary GPredict™ tool, our service advisors can give you a reliable estimate of the expected lifetime of your gaskets. The tool relies on precise calculations based on your specific equipment and relevant application details, including temperature, gasket material, whether you use glued or non-glued gaskets, and how often you open your unit in the course of annual operation. in order to give you a detailed assessment of the leakage risk. This helps you avoid unplanned stops and preventable safety risks in the course of your production. GPredict™ is a powerful tool that makes it simple to plan the reconditioning of your plates, since you always know when it’s time for regasketing well in advance. Take advantage of GPredict™ with a customized gasket prediction based on your installation* by contacting us today. This temperature range refers to 0-100°C (32-212°F). *GPredict™ estimates are valid only for clean water duties, or applications using other fluids that have no chemical impact on the gasket. Gasket lifetime predictions are not available for units that employ aggressive media. Alfa Laval is a world leader in thermal solutions with over 130 years’ experience developing industrial equipment. All of that expertise has gone into our next-generation range of gasketed plate heat exchangers – as well as the comprehensive services that support it. Looking for spare parts for your Gasketed Plate Heat Exchanger? Fill out the form below and a representative from your local Alfa Laval office will contact you shortly.